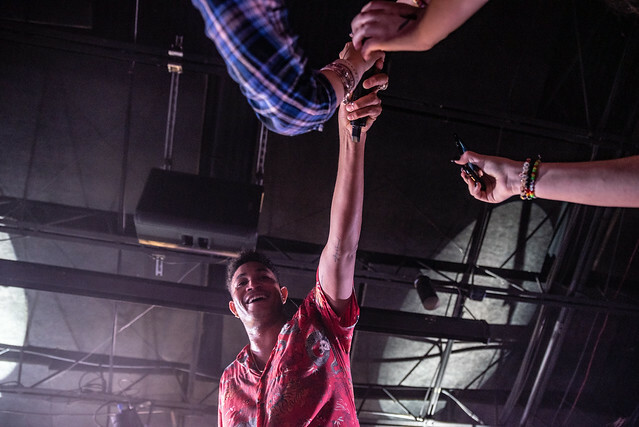 Bryce Vine Brought The Energy and Created A Night To Remember Reviewed by Derek Baker on February 13, 2019 . 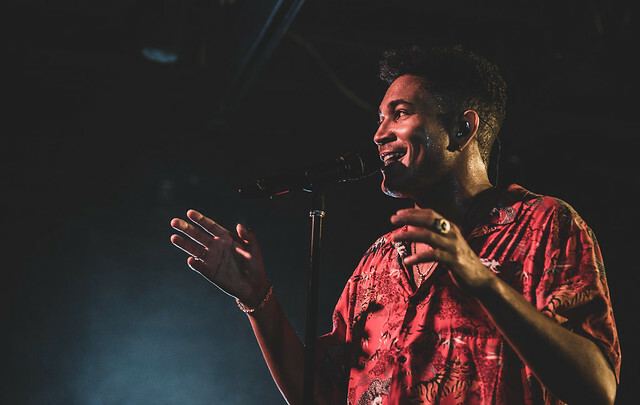 Although he rose to fame with his recent hit “Drew Barrymore”, Los Angeles rapper and New York native Bryce Vine has been producing solid hits for the past few years and he’s just getting started. 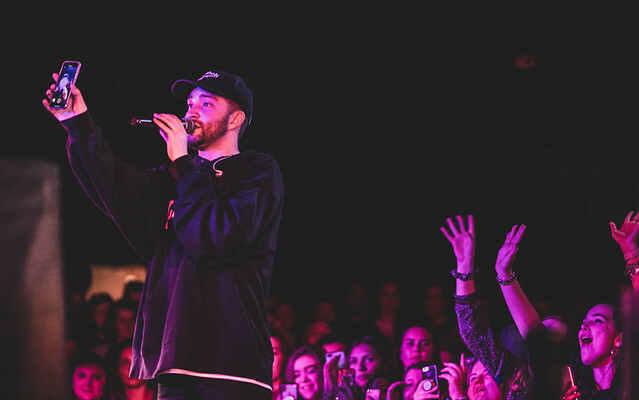 Over the years, he’s toured with acts such as Hoodie Allen and MAX, but he’s also embarked on his own tours but this one marks the largest to date which finds its name as the Headline Tour. When he released his first EP titled ‘Lazy Fair’ it was immediately clear that this was an artist to watch. 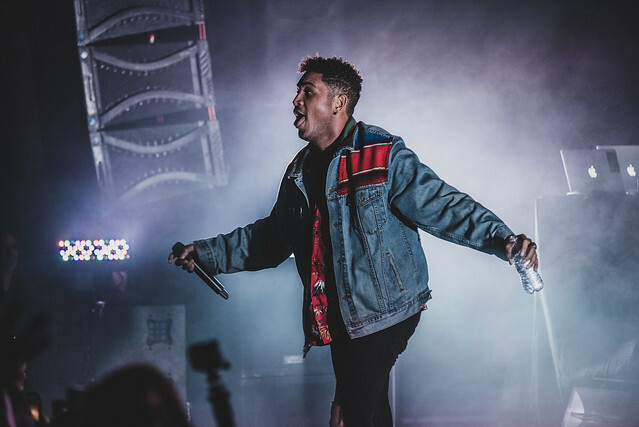 With songs like “Guilty Pleasure” that introduces you to an earworm melody and chorus that stays in your head to the reminiscent hooks and lyrics of “Sour Patch Kids”. The later of which rings in as the song that all the die hard Vine fans long for. 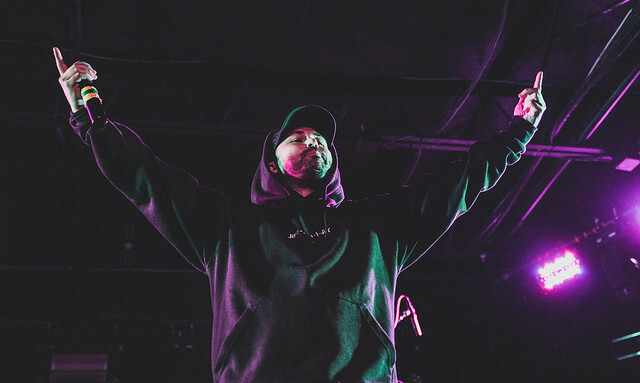 It was an EP that set the scene for a future full of Pop mixed Hip-Hop vibes. Fast forward two years later to the release the “Night Circus – EP” which solidified the talent held by Bryce in songs such as “Bang Bang”. One which confronts real life problems including racial profiling, police brutality and the fight to make the world better without being punished for speaking your voice. What Vine does best though is bring these deep subjects into a rhythm that could be on your local radio station any day. 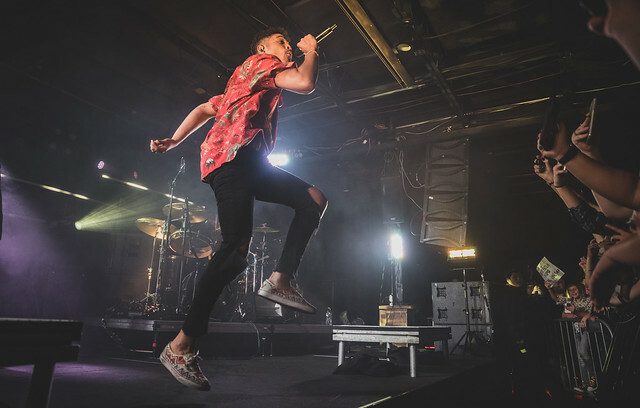 Recently he kicked off is Headline Tour earlier this month in New York and it’s been a party across the nation ever since. 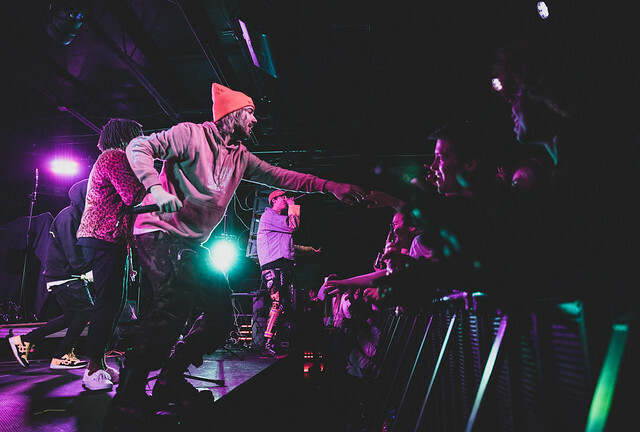 It’s a tour that has found most dates becoming Sold Out and we jumped into the fourth stop in Charlotte, North Carolina at The Underground. 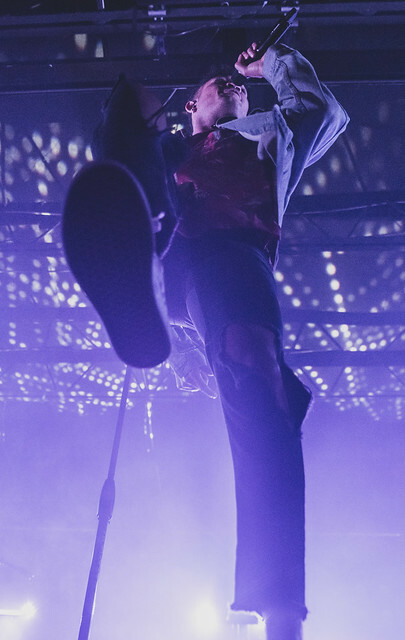 Upon arriving shortly after the doors opened, there was still a long line of fans eager to get in that stretched along the sidewalk outside the venue. 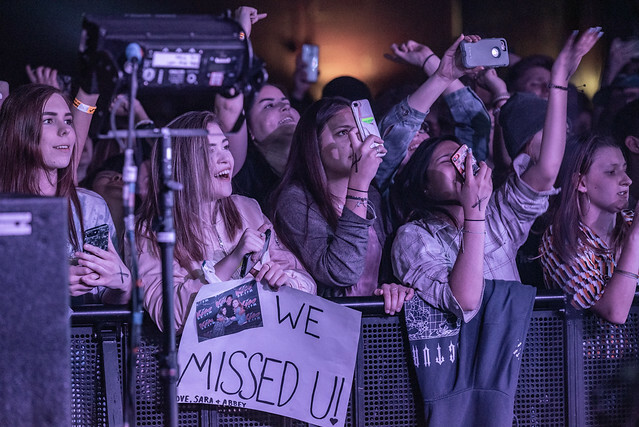 We spoke to a few fans outside and learned that for many it was their first time seeing Bryce but there were also plenty that had come out to support their favorite artist again. Once inside we found many enthusiastic concert goers pressed against the barrier for the best view possible for a night they knew was going to be epic. To get the night started was a group that recently formed in Southern California. Consisting of Stu Da Boi, Tyler Wilson, JP Clark, Dan Garaghty and JRM they go by the name of 7715. This is a group of musicians that have come together to introduce their own 90’s alternative/pop blend to the world. Immediately it was clear that this was a group whose harmonies and production just… works. 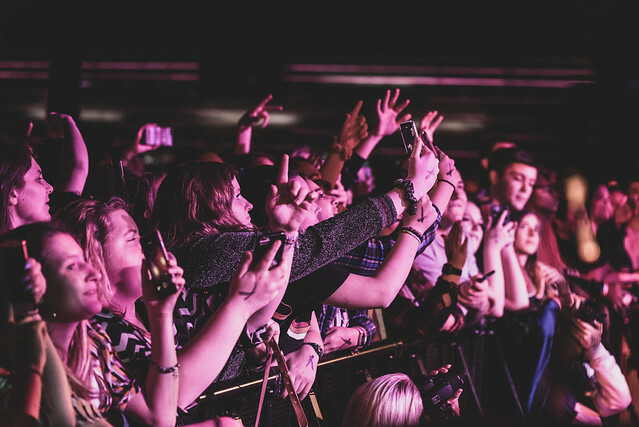 Throughout the audience there were people who were singing along with the band as they flowed from catchy songs from their past into their newer songs. In fact one of those originals just dropped earlier this month titled “Find Someone (Feat. Travis Barker)”. The other original was one that fans were excited to hear, which was their debut single and most popular to date known as “Week”. 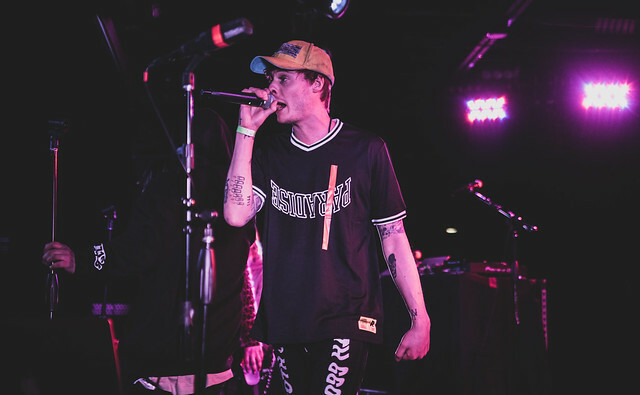 Keeping the party going, up next was a man that’s been doing his thing in the Hip-Hop scene for awhile now who goes by the name Kid Quill. 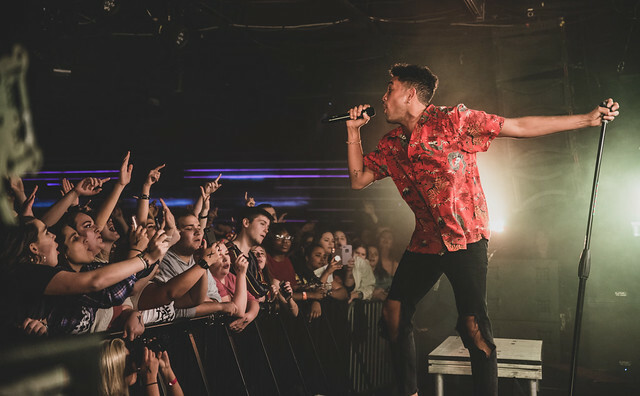 From his beginnings touring around Colleges in his home state of Indiana to having two Top Ten charting albums on the iTunes Hip-Hop/Rap charts he’s making his way up the ladder and also across the nation. 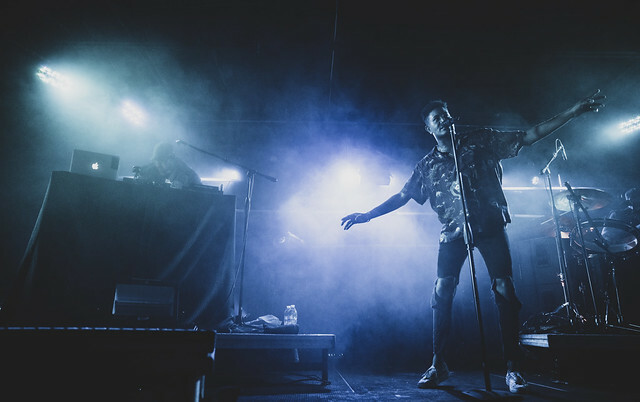 Mixing songs from his debut album ‘The Name Above the Title’ and more recent Singles he’s managed to grow a fan base all without giving into the pressure of a record label. 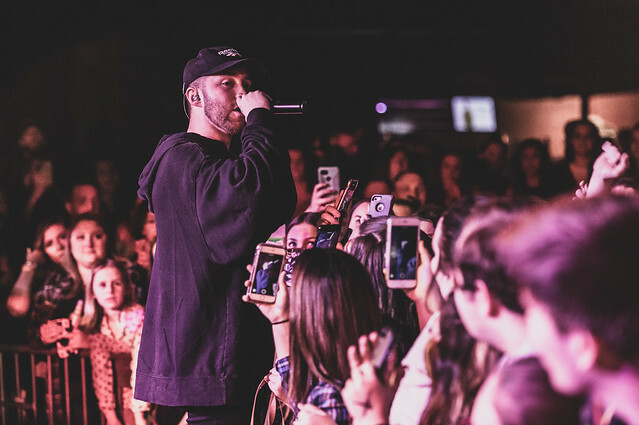 With a lyrical flow and style that feels as though it draws inspiration from such greats as Chance The Rapper, Kid Quill still finds a way to maintain his own original place in the industry. Connecting with his inner 90’s kid he presented the fans with a mashup of hit songs from the early 2000’s including “Kiss Me Thru The Phone” and “All Star” and this had the crowd going crazy in the best ways. 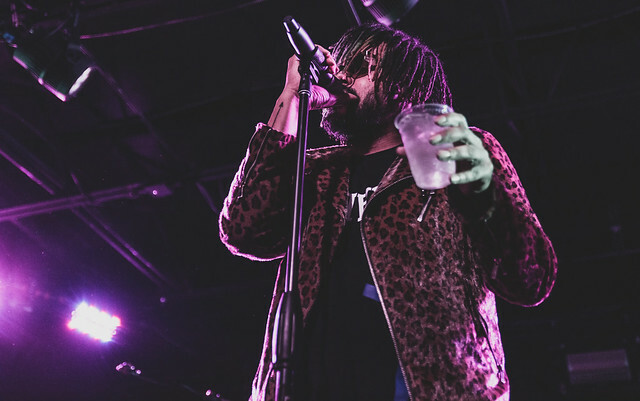 Before wrapping up he gave us a song off his most recent album titled 94.3 The Reel which focused on being the first act before the headliner and showcased his musical style in the best way. The song we speak of is known as “The Opener” and we have a feeling it won’t be too long before he loses that title. 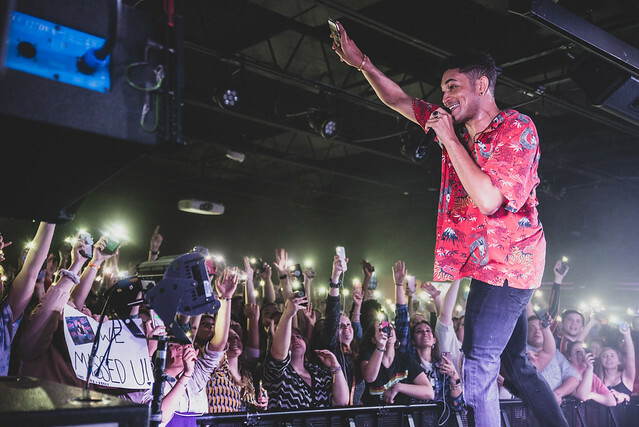 Especially with a new album in the works, chance are you’ll be joining him on a headlining tour of his own very soon. After much anticipation and plenty of hype it was time for the man himself to take the stage. Throughout the night the energy level felt as though it was at a constant 10 but once the sounds of “The Imperial March” from Star Wars began to welcome Bryce to the stage, the energy quickly skyrocketed. From the moment that DJ Lvcky Dave switched it into the opening song the party got crazy. Opening with one of his more recent singles “On The Ball” proved that Charlotte wasn’t playing around when Bryce came to town. Every song that was sung came backed with the voices of the fans as the crowd knew every word of his songs. 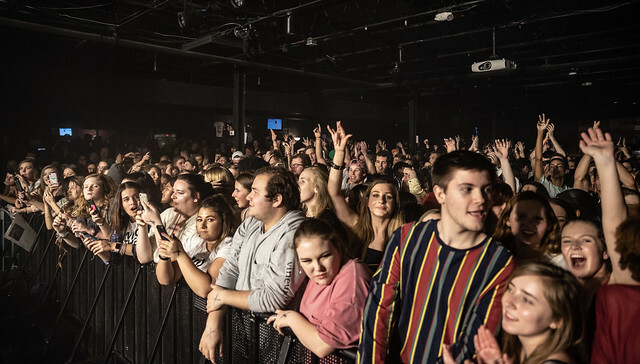 From fan favorites like “My Holiday” and “Glamorama” that had the crowd dancing, to the unreleased catchy hit-to-be “Foghorn Leghorn” the look of pure happiness never left the face of a single fan nor Vine’s the entire night. It was an evening that allowed everything to be left outside and a true sense of community and connection was felt as everyone was united by music. That’s a feeling you don’t get at every concert, but the incredible music paired with an amazing fan base made it possible. 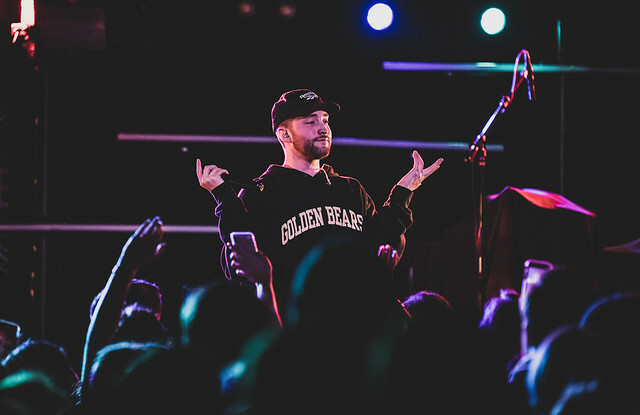 At one point Bryce made sure to note the fact that not only was this the fourth show on the tour it was also the fourth Sold Out show, which also just happened to the largest to date. 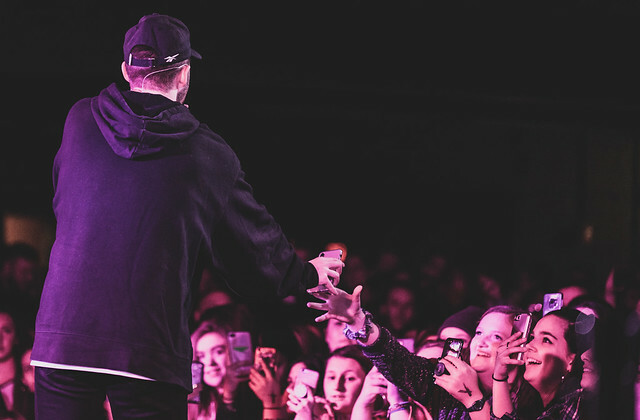 It was an evening with so many unforgettable moments, such as the one where he gave the microphone to an audience member to finish out a song solo and she definitely took that moment and made it her own. To the many moments Bryce got up close and personal with the fans at the barrier throughout the show. 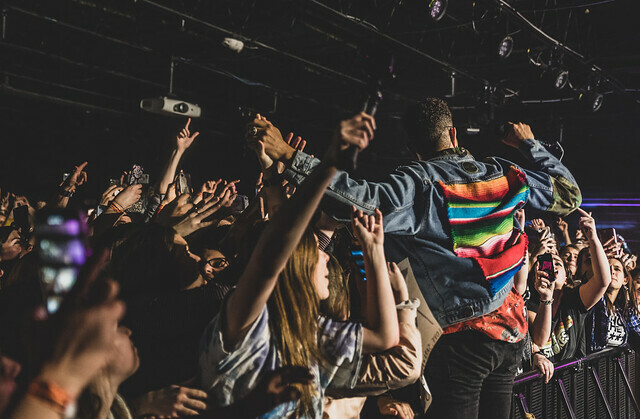 In whole though, the entire show from beginning to end put us in a place of shear excitement as we saw the audience having the absolute best time of their lives. Not to mention the encore where Bryce hit us with the explosive vibes of “Sour Patch Kids” complete with a trumpet solo from DJ Dave who was rocking out even with one arm in a sling from a recent injury. 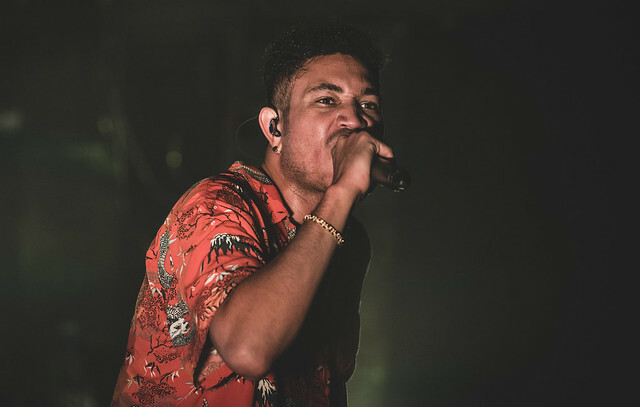 Whether you’ve followed his music for years or you found yourself wondering “Who The F*** Is Bryce Vine” (much like his merchandise says) you’ll be happy to know that we can expect more music out of Bryce in the near future. We’ve been waiting for this album for awhile but we just might finally get it this summer, and we already know it’s going to take Bryce to places he’s never been. Make sure to get your tickets, give this man a follow and stream those songs to invite yourself on a journey with an artist that we just know will become of your favorites.